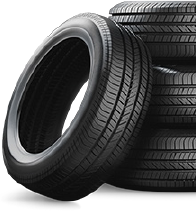 We're the best source for the replacement tires specified by the manufacturer, at a discount you'll really appreciate. See your Mopar Service Advisor for complete details. *Must bring in physical quote from another tire dealer. Refund price match must be presented within 30 days of new tire purchase to be eligible. Not all tires are eligible, some exclusions may apply. See Dealer for full details. * "Offer expires:" indicates the date the form is available for download. It does not represent the actual dates of the Manufacturer's offer. The eligible dates for the offer can be found on the Manufacturer's rebate form, or in the disclaimer of the posting here as "Valid". The "Valid" date range is the time in which an eligible purchase can be made as specified by the Manufacturer. (EX. Valid 03/01/15-06/30/15). **Manufacturer's rebates. Subject to Manufacturer's terms and conditions, see rebate forms for full details. Other restrictions may apply. Void where prohibited. The above coupons are just a representation of manufacturer's coupons and are subject to change without notice, to see official rules please see the manufacturer's claim form.